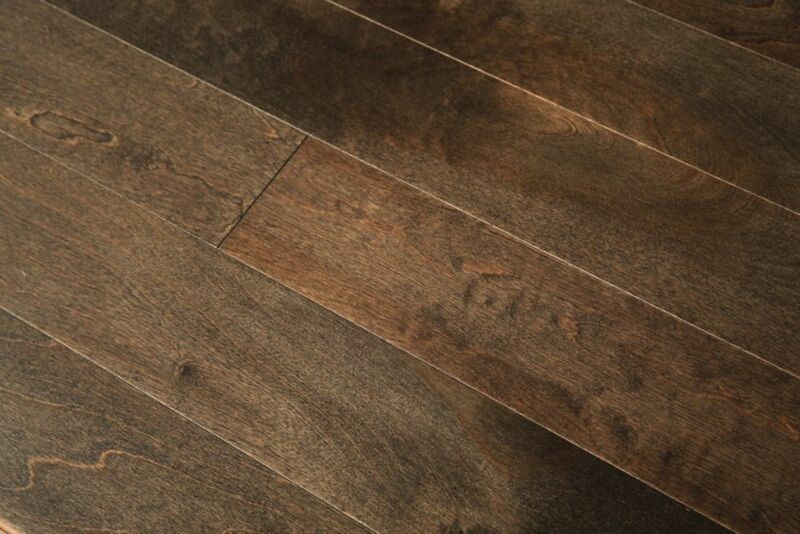 Enjoy the beauty and hardiness of the Northern Canadian Birch Espresso 3/4 in. x 2-3/4 in. solid hardwood floor with its traditional colour. This solid hardwood has been seasoned by the long and harsh winters, giving it a natural strength and tolerance for residential use. Its brown colour variation, mineral streaks and knots confer a timeless charm that is boosted with 8 coats of aluminum oxide, an extra layer of protection. It has random length planks, as well as micro-beveled 4 edges. Hardwood 3" 1/2" Balsamic Birch, Micro V groove on all 4 sides , Nailed or stapled down installation . Installation on or above grade. 20.93 sq.ft/ box. 3/4"( 18 mm) thick. Random length from 12" to 47"